A few weeks ago I had the pleasure of visiting Aurora, New York with MacKenzie-Childs. I was familiar with the brand thanks to my mother-in-law’s love for Courtly Check and after receiving quite a few pieces as gifts over the years but never really knew the whole story. One of the perks of this job is having opportunities to learn about the passion and work that goes into the brands we use and love in our daily lives. I would have never known the true story behind such an iconic brand without having this experience and I’m forever grateful to have learned and lived the world of MacKenzie-Childs, even just for a few days. Let’s start with the storybook town of Aurora, NY. A town on the edge of Lake Cayuga in the Finger Lakes of Upstate New York. It is a step back in time. A tiny little town that seems untouched. So many iconic brands have come out of this town – Wells Fargo, American Girl Doll (picture Aurora as the town in the books!) and MacKenzie-Childs. The people that live here are so passionate about where they live and what they live for. Being there was like a breath of fresh air. We stayed in the beautiful Inns of Aurora at the Rowland House. A charming bed and breakfast that was absolutely breathtaking and so pristine. I never wanted to leave!! When we arrived in NY I was a little nervous about spending 3 days with 9 women I had never met. But we had THE BEST TIME. I couldn’t have imagined a more fulfilling few days thanks to the MacKenzie-Childs team and Little Voice PR. Our schedules were packed with so many fun activities – nightly holiday-themed dinners, tours of the MacKenzie-Childs production facility and farm, painting our own MacKenzie-Childs pottery, Facebook LIVE segment with the creative director, wine tastings and so much more. Walking the MacKenzie-Childs property was so inspiring. Did you know they are one of only 5 companies in the United States that still manufactures their OWN pottery? We got to watch this firsthand and it was amazing to learn that the people working for the company had been there 20-30+ years. The craftsmanship and love for the brand runs through every vein of their employees and it makes me appreciate the fruit bowl on my countertop or the pie plate in my dining room that much more. The MacKenzie-Childs facility is housed on the most beautiful farm with gorgeous property surrounding it. We got to tour the grounds (and meet their sheep!) and the beautiful farmhouse that has every detail decorated in MacKenzie-Childs. The entire place is a dream! I learned so much from this experience – not only about the passion for creating pieces that make you happy but the extensive collection that embodies the brand. They have EVERYTHING you could possibly dream of for your home/life. I ordered this beautiful Flower Market Casserole to sit on our stove, this Spoon Rest and this Sweetbriar Serving Tray. Check out all of my MacKenzie-Childs Favorites! 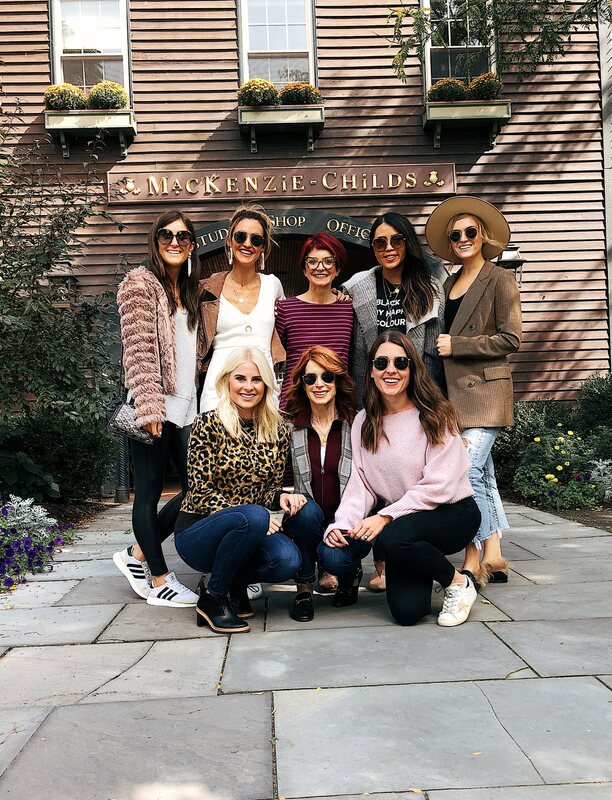 I could not have imagined a more perfect and picturesque week with the most lovely group of women and the rockstar team behind MacKenzie-Childs. 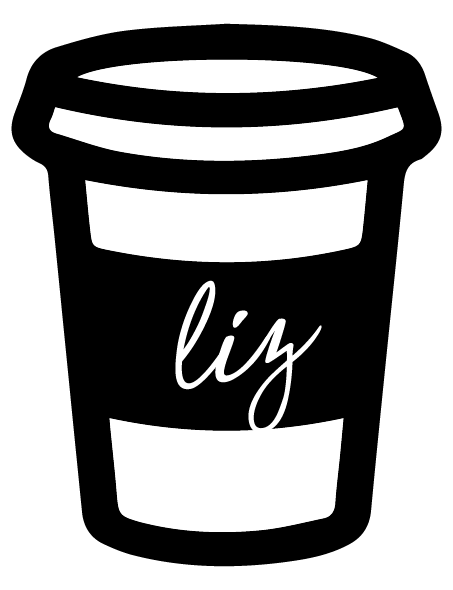 It is a brand that I will continue to use and love in my home but that I appreciate even more! A funny story and something I only realized on this trip but when I was growing up my mom had a collection of these painted fish hanging in our bathroom. I never knew where they were from (I actually always assumed she painted them herself!) but they are engraved in my memory – an item that feels like home. When we were touring the MacKenzie-Childs farmhouse we came to the end and walked down a staircase that was filled with the fish! I felt a rush of nostalgia and then learned that the fish I loved so much growing up were MacKenzie-Childs! I would have never known. It’s funny how a small item can leave a lasting memory in your mind. Proof that home is where the heart is and it’s important to fill your home with the things you love. PS: How cute are their little pumpkins? I bought this and this and plan on keeping them on my dining room table through the holidays! Wouldn’t this Beware set be cute on a mantle? A huge thank you to MacKenzie-Childs for making this trip possible! Obviously you had a wonderful time! Looks fab – love all your outfits!! It sounds like an amazing trip!! I remember watching your Stories, and everything was so cute! Definitely have a big appreciations for them! I know I commented on like every single Instagram photo of yours from the trip saying this but oh my goodness I am so jealous and in love with this trip! Everything looks so amazing and your photos are absolutely beautiful! I am thrilled you had a great time and enjoyed learning more about MacKenzie-Childs. Love! Would that midi dress work with a bump?